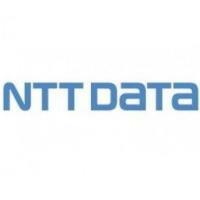 NTT DATA is a Global IT Innovator delivering technology-enabled services and solutions to clients around the world. The company provides consulting, managed services, projects, outsourcing, and cloud-based solutions to mid-sized and large enterprises in all major industries.With business operations in more than 35 countries, we put emphasis on long-term commitment and combine global reach and local intimacy to provide premier professional services from consulting, system development, business process and IT outsourcing to cloud-based solutions. The candidate should be B.E/B.Tech/M.E/M.Tech/MCA/Other graduates from any recognized university. The Associate System Engineer role will perform receiving Calls/Emails/Web tickets from end users (UK based) for services, inquiries and problem notifications and log them into the ticketing tool. Resolve incidents within prescribed time limits, if possible; otherwise, escalate to appropriate Level 2 groups.